Savannah – I have my Mode-S/ADS-B receiver software set to alert me when it picks up certain Mode-S codes, registration numbers, or callsigns and not long after I woke up this afternoon and turned on the radios, it alerted me to an aircraft that I’ve never heard before: NASA 941. 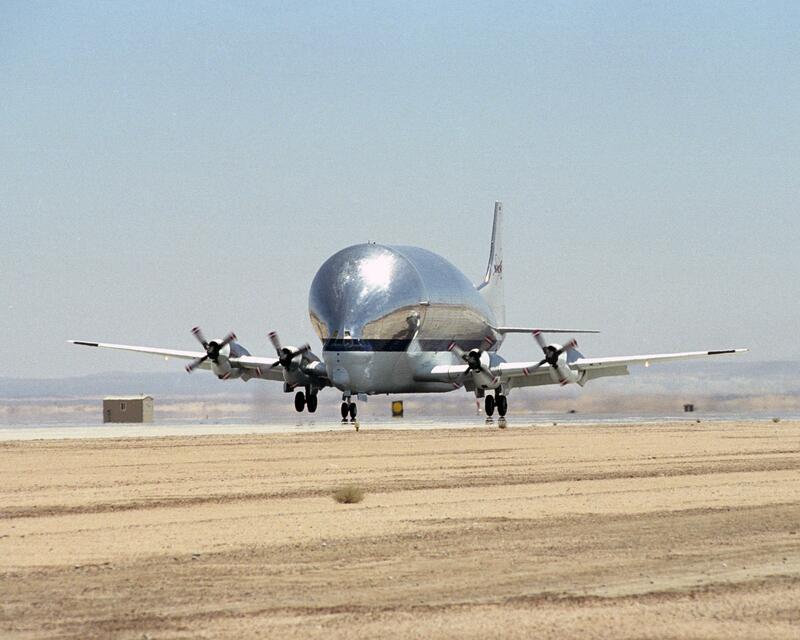 NASA 941 is NASA’s Super Guppy, a four turboprop transport aircraft used for carrying oversized loads. Not long after, I picked it up on 126.475 with Jacksonville ARTCC and it transitioned to 132.925 with Jacksonville ARTCC as it traveled northbound along the coast. The Super Guppy is not something we hear in the Savannah area very often, so it was an occasion to somewhat geek out about what I’d heard. Later in the evening, curious about NASA 941 was up to, I looked it up on Flight Aware and discovered that it went to MCAS Cherry Point from Kennedy Space Center. That made me even more curious – what was it doing going to MCAS Cherry Point? Some web research led me to a Carteret County News Times article that explained that it brought a full scale replica of NASA’s Orion Crew Module to MCAS Cherry Point where it was then transported by ground to Morehead City. From Morehead City, it was towed offshore by a USCG boat where it was then turned upside down by USCGC Maple’s crane to test the system that will upright the module if it turns upside down when it lands in water. The module was transported to Cherry Point on 28 February 2019 from Huntsville, AL so I’m guessing it was going there yesterday to pick it up and that a return trip is in the works for tomorrow. I’ve done something similar. I’ve got a combination of registrations, hex codes, and callsign prefixes that will cause the RadarBox software to alert me. Another of the unusual/odd ones I like to catch are the Google Loon balloons.